Tell us where to send your presentation. So You're Having Network Issues . . .
As an IT manager, you know that a viable solution for managing the security, stability, cost, and complexity of your business network is SD-WAN. But how do you explain SD-WAN to an executive? It’s a complicated product to explain—especially to an audience with limited technological expertise. 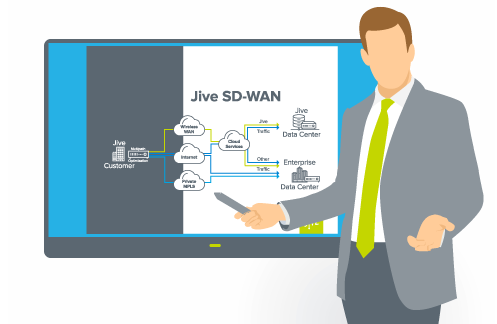 Here is a presentation that simply explains what SD-WAN is, the problem that it solves for IT professionals, and all its benefits and features. This presentation will help you convince your executives that SD-WAN is the right investment for your company. To give your executives context, we explain the new challenges you face as an IT professional. A definition fit for executives and slides describing the installation process and different components of SD-WAN. To get your executives on board, we outline all the important benefits and features of SD-WAN.